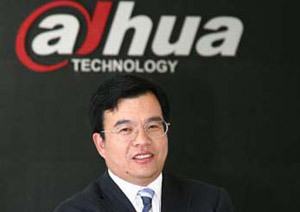 Fu Liquan, the Founder and CEO of Dahua, has suddenly resigned. While there is still no official press announcement or general news release from Dahua, IPVM has verified this in an official Chinese document. Inside this note, we examine what is happening, who the new CEO is and what this means for the mega Chinese manufacturer. The official Chinese stock / government document (in Chinese) says that Fu, as of May 3rd, has resigned as President / CEO for 'personal reasons'. The document says Fu will remain as chairman of the board. In Fu's place, the company appointed Li Ke, who has not been previously listed as having any executive role in the company nor has anyone close to Dahua been able to explain what his background is. Update: another China filing says Li Ke has worked his entire 21 year career at Huawei, most notably President of South America at the mega Chinese technology manufacturer. Dahua USA employees, from our queries, were not informed that the CEO and founder had been replaced. Likewise, OEM partners were surprised. Moreover, the announcement gives no indication of any transition period. Fu is out already and the unknown Ke is in. According to sources close to the company, Fu's resignation is the result of Dahua growing rapidly, bringing in an executive who can maximize that growth. While it is not uncommon for corporate leadership to change as companies grow, those changes are typically planned in advance, and executed systematically to avoid the perception that the company is struggling or reacting suddenly. Moreover, it was growth related, the official document's stating of 'personal' reasons does not make sense. Dahua's now former CEO Fu was at ISC West, even on the show floor, seemingly happy and energetic, showing no signs of being weeks away from a resignation. The manner in which this change was made, and communicated, does not instill confidence in Dahua's leadership or strategy. At the same time, Dahua has made a series of moves that showed a lack of clear market strategy (e.g. : Dahua Fakes Being American, Dahua Admits Failed Channel Strategy, Dahua Declares Defeat, 'Embraces' Enemies, Dahua Says They Are Botnet Attack 'Victims'), so this is not totally out of character for them. To Dahua's credit, they brought in a new marketing head in the US, recognizing their previous approach was not working, and this CEO change, while sudden and clumsy, could be an indication that Dahua is serious about competing with Hikvision with a more strategic approach. Or not. It is Dahua.